Jarrow Formulas Flaxseed Oil softgels provide the finest source of cold-pressed flaxseed oil. 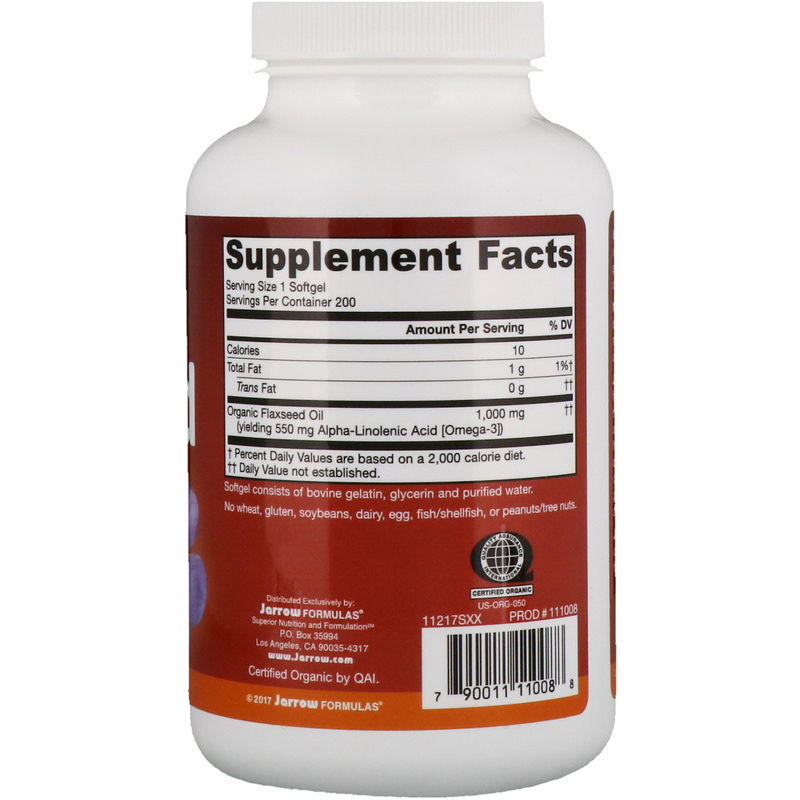 These softgels provide a rich source of the omega-3 fatty acid, alpha-linolenic acid (18:3n-3). The flaxseed oil is extracted from organically-grown flaxseeds by an expeller-press, cold-extraction method that safeguards the special long chain fatty acids from excessive heat. The oil is also protected from light and oxygen during both extraction and encapsulation. 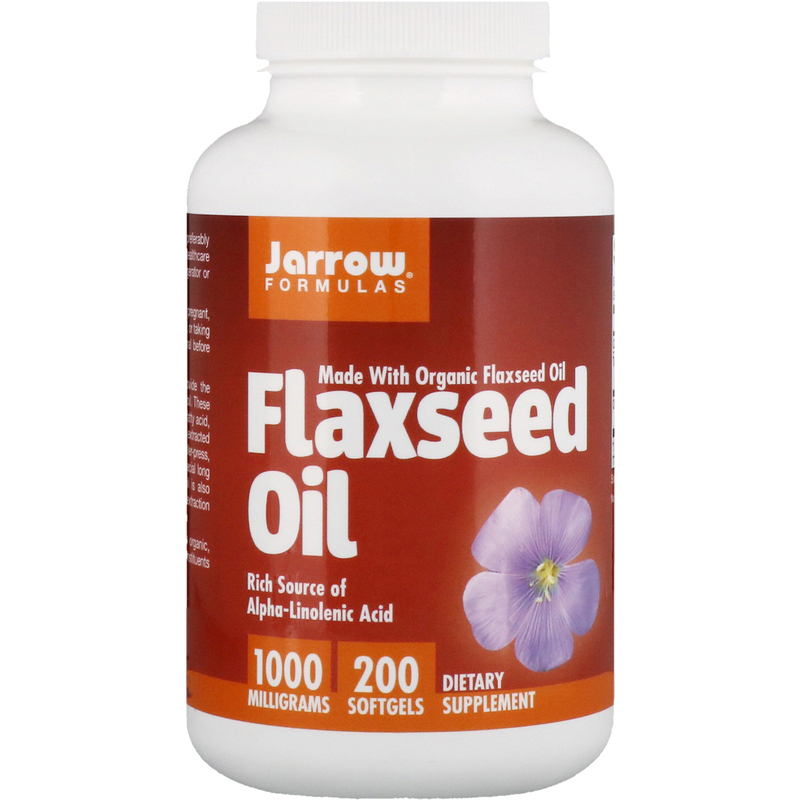 Jarrow Formulas Flaxseed Oil is organic, unrefined flaxseed oil and contains all the natural constituents found in fresh flaxseed oil. Take 1 softgel up to 3 times per day, preferably with meals or as directed by your qualified healthcare professional. Softgel consists of bovine gelatin, glycerin and purified water. Keep out of light and store in refrigerator or cool place.